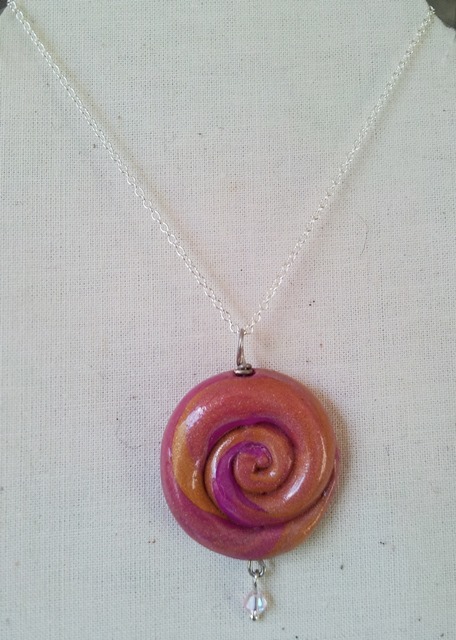 Elegant swirl necklace in pink and gold. 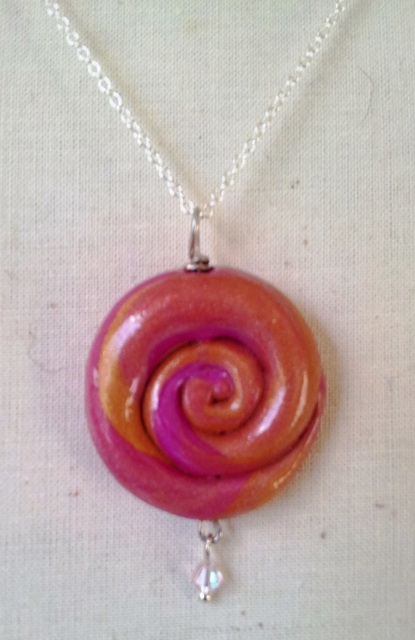 Handmade from polymer clay, marbled and made into a decorative swirl to represent a shell. 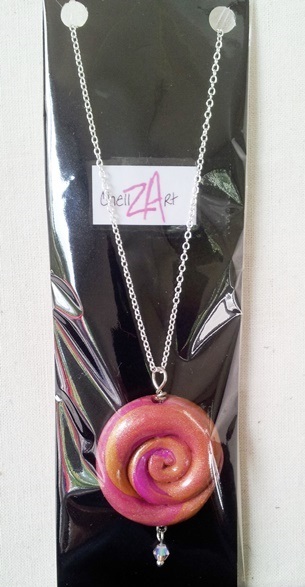 Piece has been baked and varnished for durability and to enhance the design and it’s colours. Comes on 42 cm sterling silver chain. 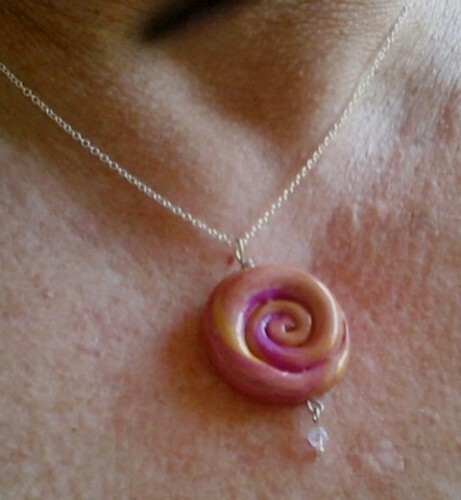 Beautiful and unique necklace that could accompany any outfit. Comes packaged for that perfect gift.